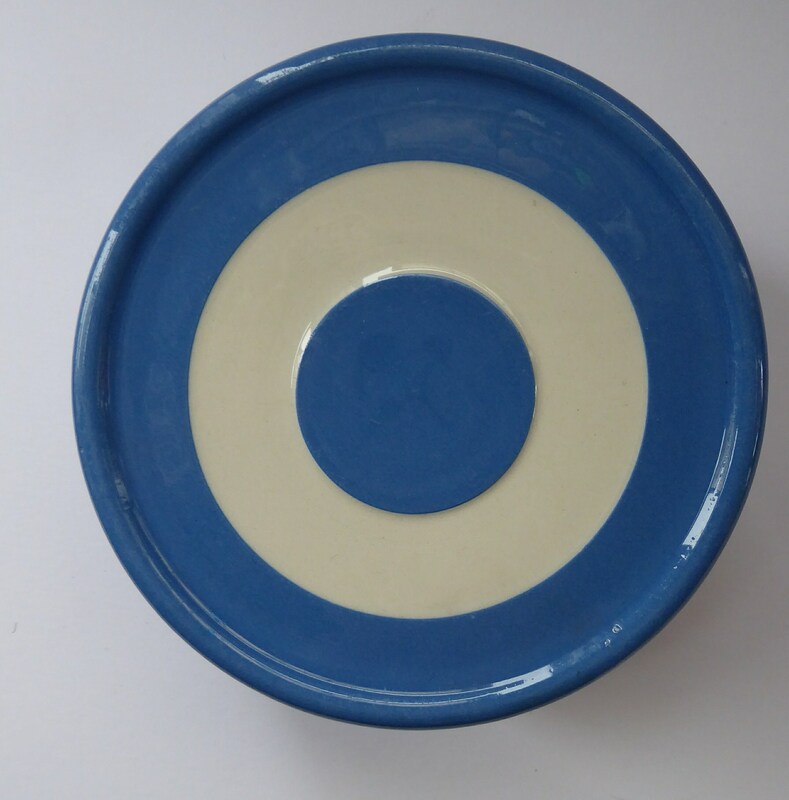 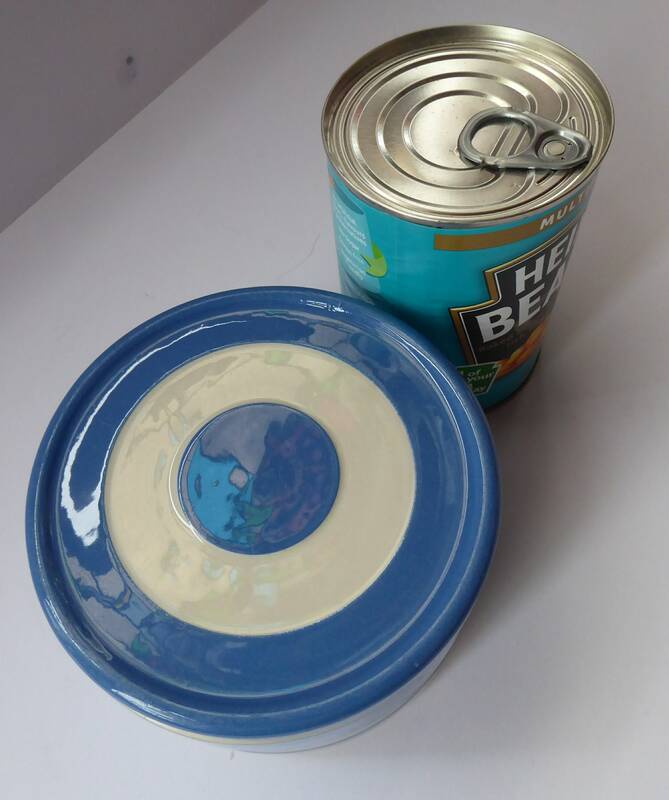 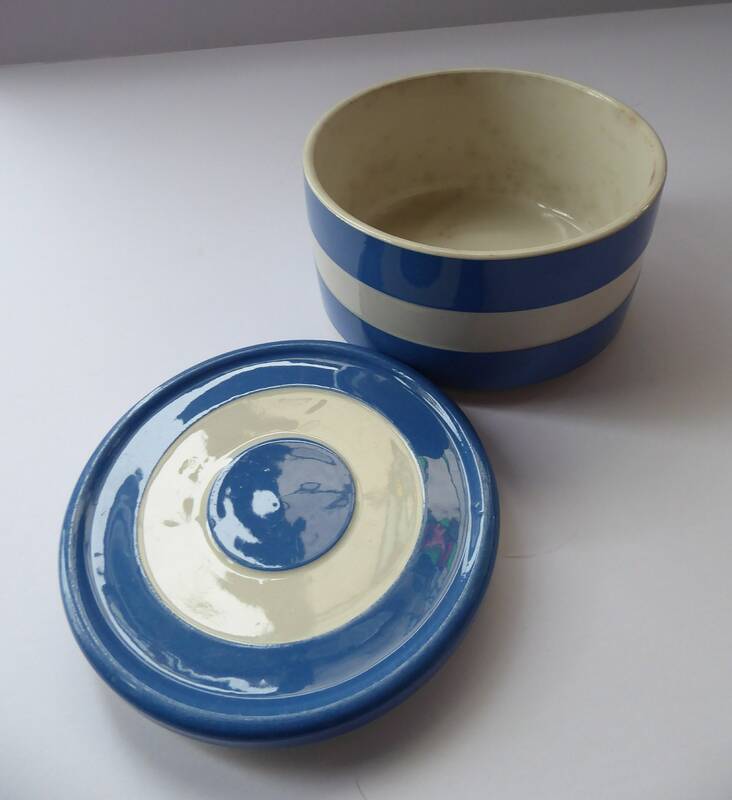 On offer here is a little squat lidded dish made for Cornishware in the 1960s, as a re-vamped design by Judith Onions. 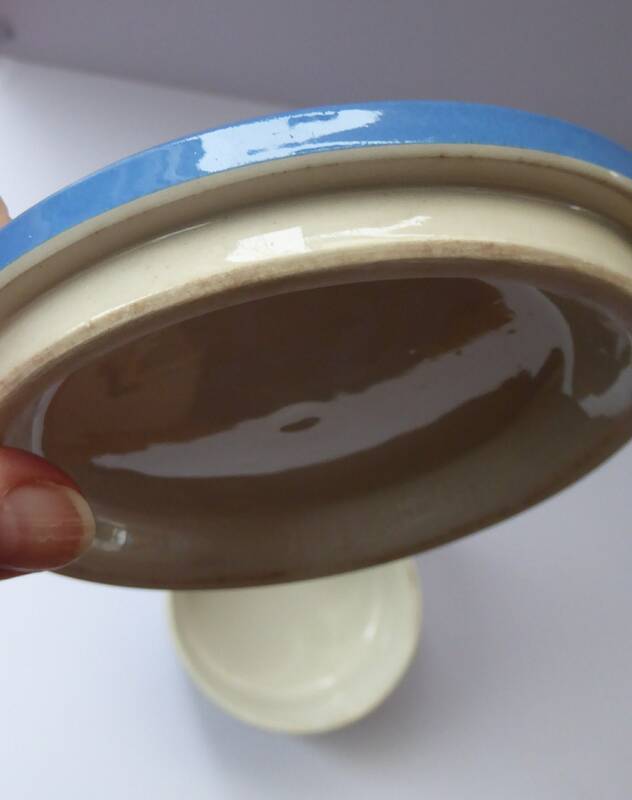 Dimensions: It is not as tall an item - measuring only 3 inches in height and with a diameter of 4 3/4 inches. 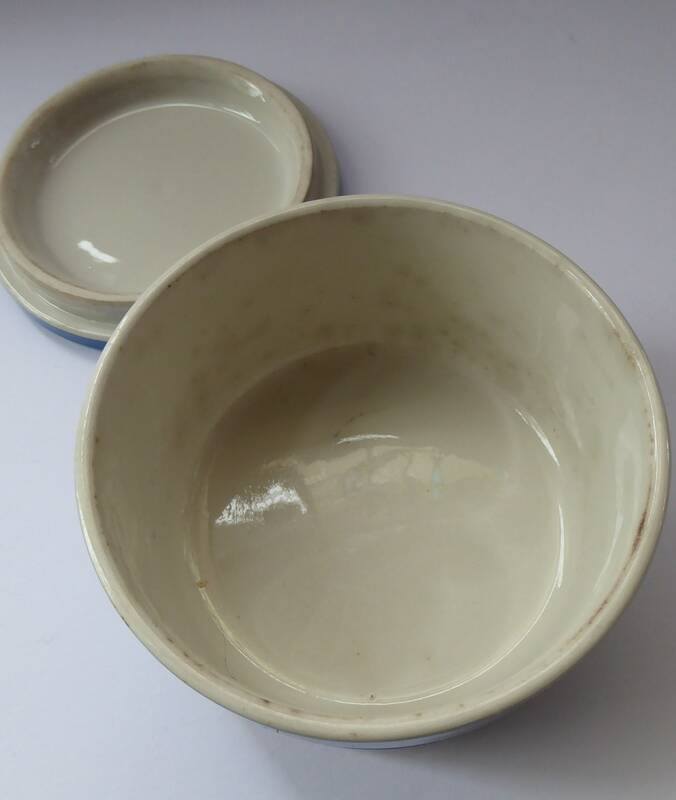 Its shape suggests that it is probably a little butter dish - or possibly a cheese dish for storing rounds of cheese such as camembert. 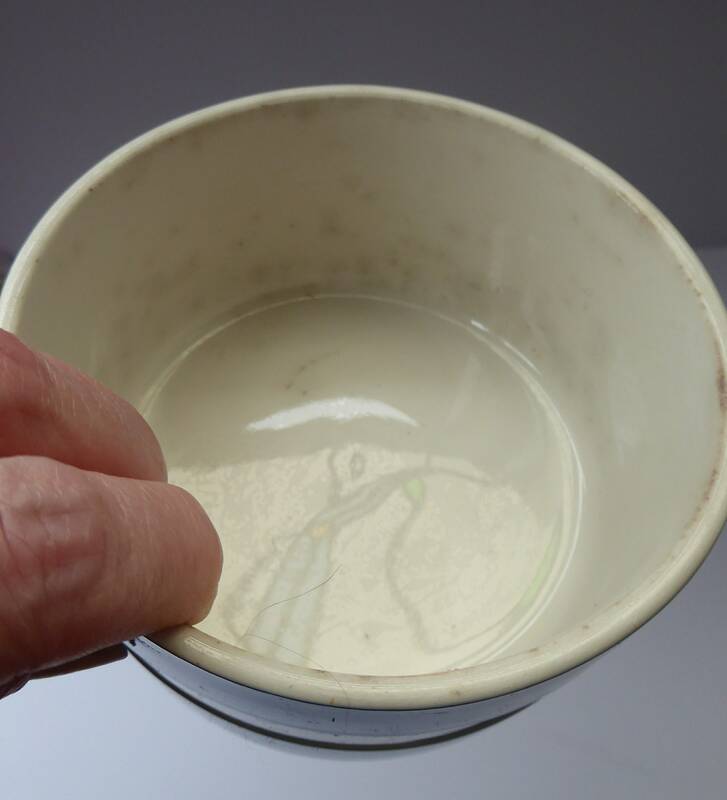 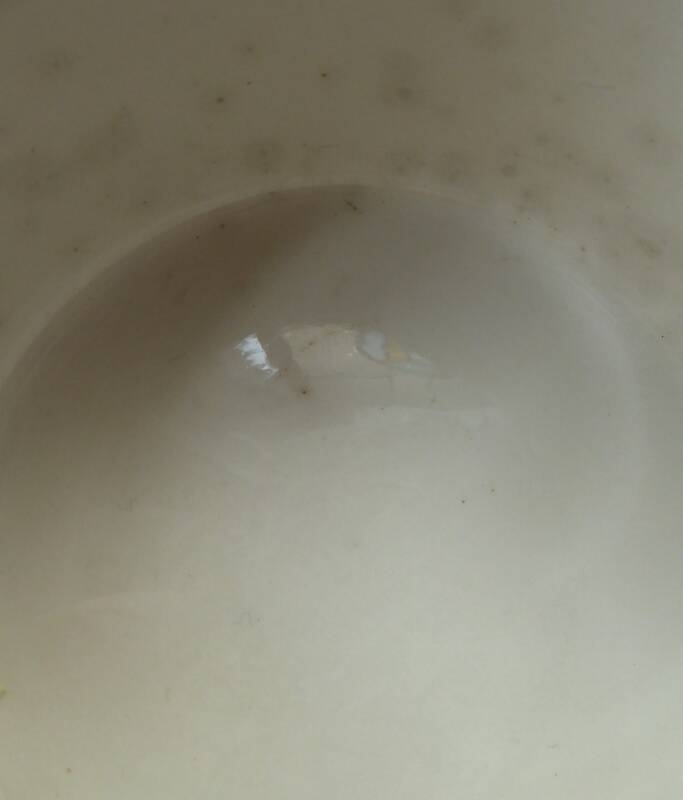 The pot is in good vintage condition with no chips or cracks - a little staining to the inside - which to me suggests that it might have contained butter or cheese at some point in the distant past. 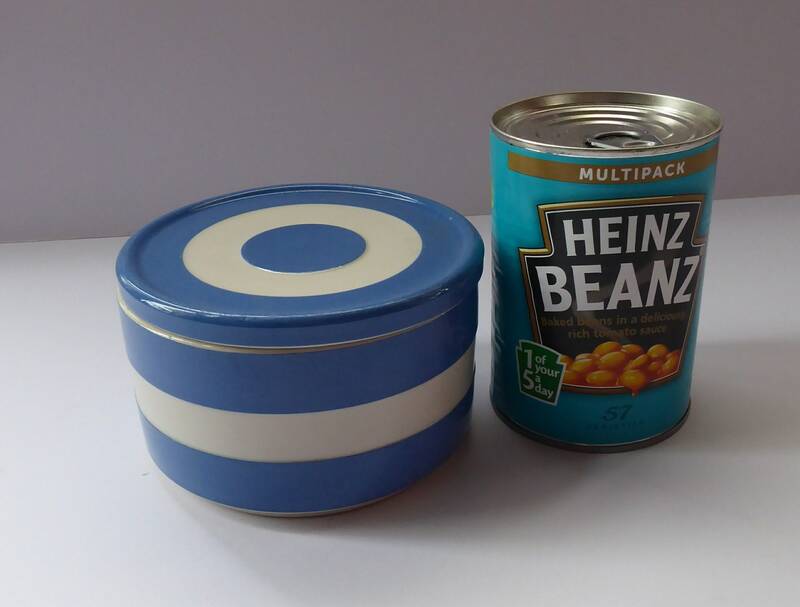 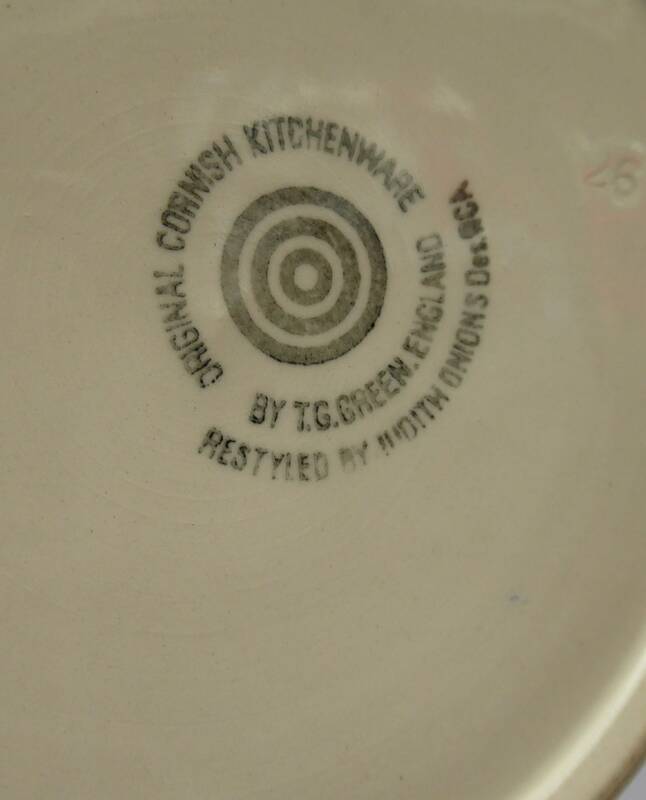 This is a rarer piece of Cornishware - and listed at a fair price. 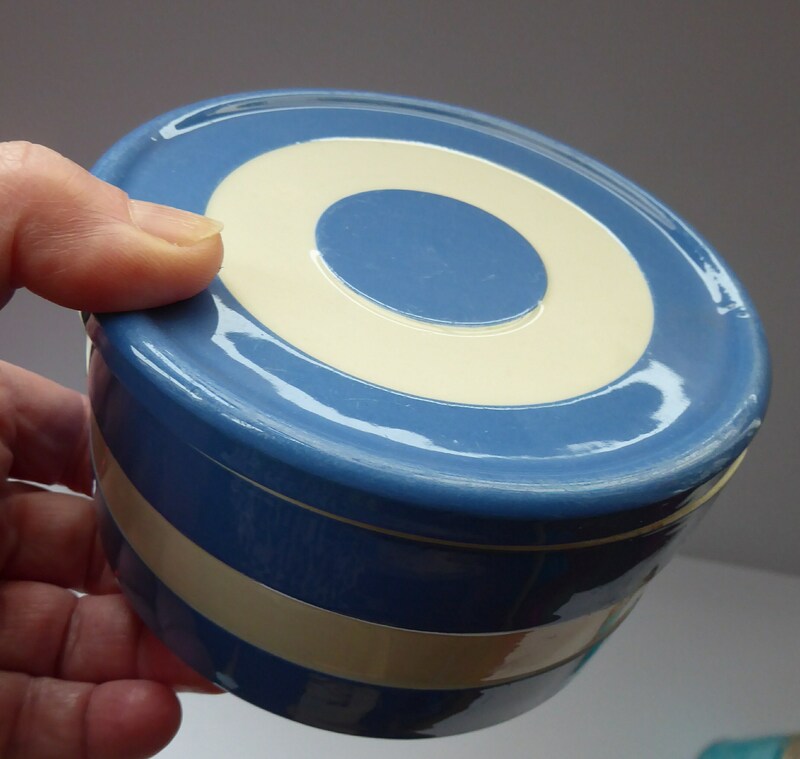 Have a few other pots and jars in my Etsy store - postage would be capped at £10 on any orders in the UK.